I couldn’t disagree more. Laws and regulations can always be reformed and improved, but the real threat to America’s natural resources, and to the health of our democracy, is the Trump administration’s nontransparent, one-sided assault on commonsense regulation. The administration’s efforts are ostensibly aimed at giving industry — particularly the energy industry — a voice in rulemaking, and at eliminating rules with excessive costs. 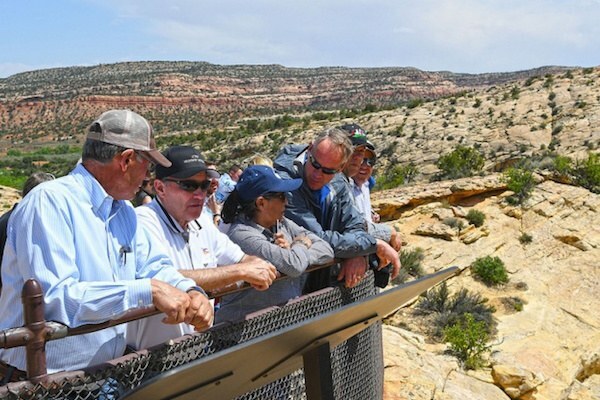 During a May visit to Bears Ears National Monument in Utah, Interior Secretary Ryan Zinke spent most of his time with groups opposed to the monument. But the administration exerts little effort to solicit the views of communities that benefit from regulations — those who rely on the government to protect America’s air, water, lands, wildlife and sacred places from the threats of population growth, climate change, and uncontrolled, first-come-first-served development. For example, a recent Washington Post review showed that in March and April of this year, Interior Secretary Ryan Zinke held more than a half-dozen meetings with executives from oil and gas firms and trade associations to discuss reversal of Obama-era policies. And a New York Times and ProPublica examination of more than 1,300 pages of handwritten sign-in sheets from Interior Department headquarters found that, from February through May, at least 58 representatives of the oil and gas industry signed their names on the agency’s visitor logs. The Rocky Mountain Resource Advisory Council tours a solar energy zone in the San Luis Valley. 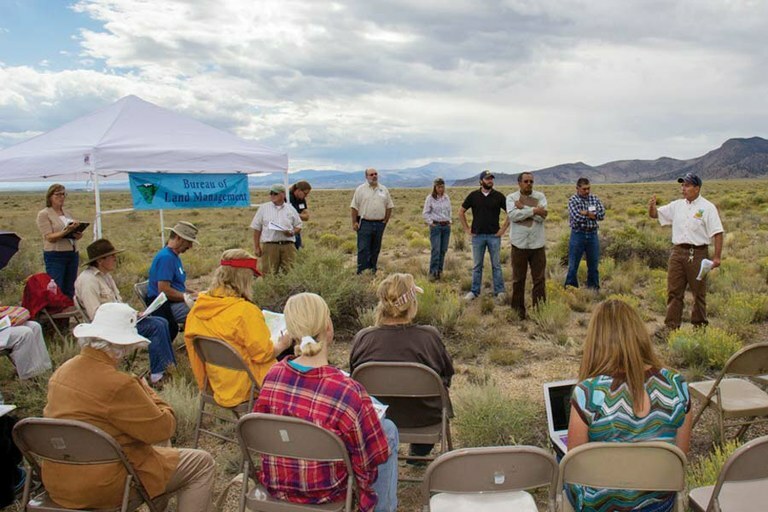 The citizen group provided recommendations to the BLM on the management of public lands and resources in Colorado’s Royal Gorge, San Luis Valley and Gunnison area. Secretary Zinke suspended meetings for groups like this in May.